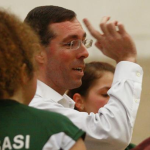 Are your volleyball warm-ups wasting valuable time? Are your warm-ups wasting valuable time? There is little I hate more as a volleyball coach than watching a team do a jog-and-stretch warm-up before practice or a match. I have to think there are only three potential reasons for teams to do that. The coach (or captain) is ignorant of the better options. The coach (or captain) is being lazy. The players are intransigent (perhaps due to ignorance). All of these reasons (excuses?) can be addressed, and should be for the benefit of the team. When I agreed to take on coaching for Exeter University in 2012 one of my requirements was that jog-and-stretch be thrown out. Why? Because jog-and-stretch is an utter waste of time. I mean that both figuratively and literally. Static stretching (the sort we most often think of when referring to stretching) may not have any value for warming-up. There’s no evidence that it prevents injuries, which is counter to what a lot of people think. According to WebMD, research actually shows that it may be harmful in some cases – explosive sports (like volleyball) being one of them (but time between the stretching and performance may make a difference). Regardless of whether static stretching has any value, athletes should do it when muscles are warm. Jogging a few laps around the court is not sufficient. This is why the suggestion is that you stretch after, not before, exercise. Static stretches are best for developing flexibility, not for warming-up. Taking it a step further, a warm up should replicate the activities to be performed during the exercise, just at a lower intensity level. You may make the case that since sprinting is part of volleyball (though only barely), jogging is a good warm up to that. Fair enough, but what about jumping, lunging, shuffling, serving, spiking, and blocking? Not much jogging is going to do for them. All of this is why dynamic warm-ups have become so popular. Here are a couple of examples. The first is the Stanford University men during pre-match warm-ups. This second features a set of exercises demonstrated by teenage players. There many, many variations and types of dynamic warm-up exercises out there. Search YouTube and I’m sure you’ll find dozens. That said, though, there is some research with suggests even dynamic warm-ups have little impact on performance. It’s limited so far, though, so we need to see more. 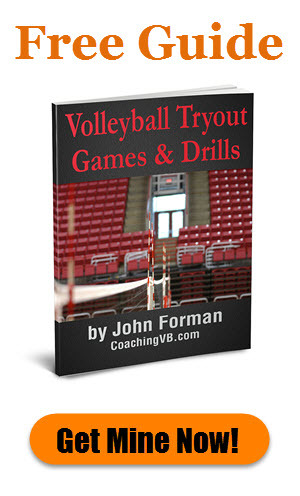 Jog-and-stretch misses an opportunity for the players to work on volleyball-specific movements and skills. The dynamic warm-up at least can have some volleyball type movements integrated. 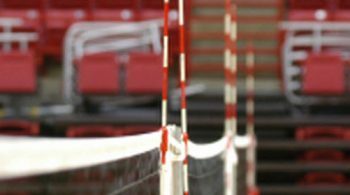 Even there, though, most aren’t great for getting the shoulders warmed up for serving and hitting, which is why you often see teams go from there into some kind of throwing the ball back and forth. I also think that throwing of the ball back and forth, in most cases, is a waste of time. Why do I say that? Because in my experience, especially with male players, it becomes more about how hard they can throw the ball or how high they can bounce it and less about actually warming up. And it takes way too long with an opportunity for skill development lost. 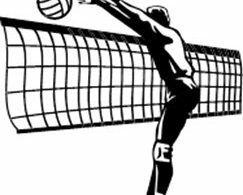 A simple progression from light ball-handling to easy pepper (partner pass-set-hit) to full-speed pepper will warm-up a player’s shoulders at least as well and offers the added benefit of having them working on volleyball skills at the same time (to a degree). 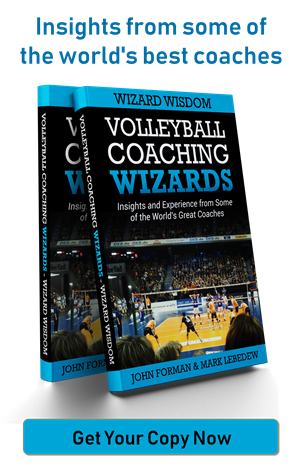 This is supported by coaches in professional volleyball. Though I’m sure you could come up with something better than normal pepper for pre-practice warm-up when you have a net available. To re-task the Tesco motto, every little counts (Tesco is a grocery store chain in England). How many training sessions will your team have this year? How many matches? Add those two figures together and multiply by the 5 minutes (or probably more) normally given over to some kind of stretching. That’s how much more effective training time your players can get by non-ball related warm-ups. Let me use the Exeter teams I coached as an example. We trained twice a week for something like 20 weeks and had at least 20 matches. If we replaced non-ball warm-ups with those that include the ball in some form we get 300 additional minutes of ball-handling work (60 x 5) over the year, which is like adding 2-3 training sessions. Now obviously playing your team warm isn’t something that suits all situations. Still, one needs to give a lot thought to priorities when planning warm-ups. If you’ve got a developing group of players you should probably forget about the fancy warm-ups used by upper level teams with elite level athletes. For them it’s about preparation for high-intensity competition. They are beyond the point where a few more setting or passing reps are going to make any difference. For you, though, every rep counts – especially when you only see them a few hours a week. And keep in mind there’s a negative relationship between warm-up requirements and age. Kids don’t need to do all that stuff. Just get them on the court playing! 1 Response to "Are your warm-ups wasting valuable time?"